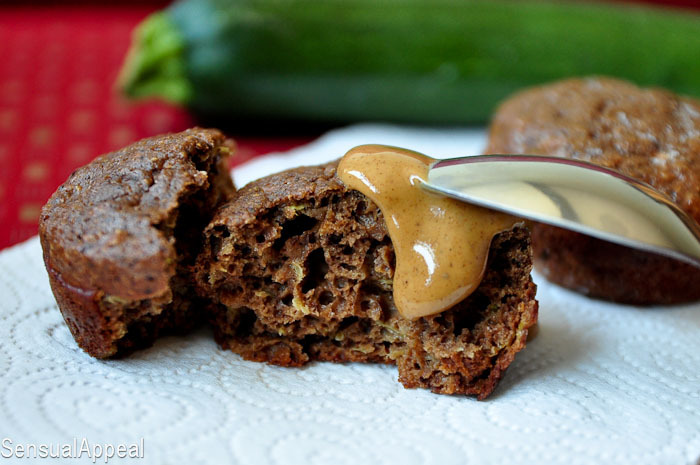 Chocolate Zucchini Protein Muffins - the best zucchini muffins ever! 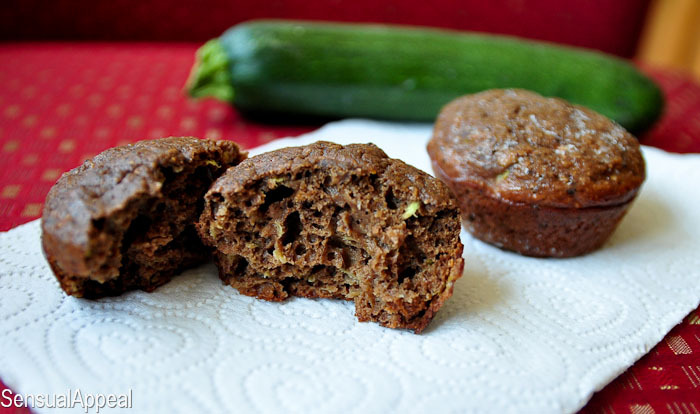 Chocolate Zucchini Protein Muffins – you’e never had zucchini muffins like this before! You’ve never had zucchini muffins like this! These protein muffins are small and therefore perfect for lunch or snack – and they taste fabulous, especially when topped with some peanut butter 😉 Yummo! I had some zucchini laying around and I thought I would have time to cook with them, but unfortunately, I don’t think I will. I’m leaving the city on Saturday morning because of the NATO summit. There is no way I’m gonna be anywhere near here for this – everyone is saying it’s going to be crazy. Security and police is everywhere already and secret service and FBI are stopping at random establishments to make sure everyone is ready to take on the protesters. I hope there will be no violence involved. So yeah, I’ve made chocolate zucchini bread before and I loved the taste of it. I don’t have a loaf pan in this apartment thought and I just ran out of chocolate chips, so I went for chocolate zucchini muffins sans chocolate chips. 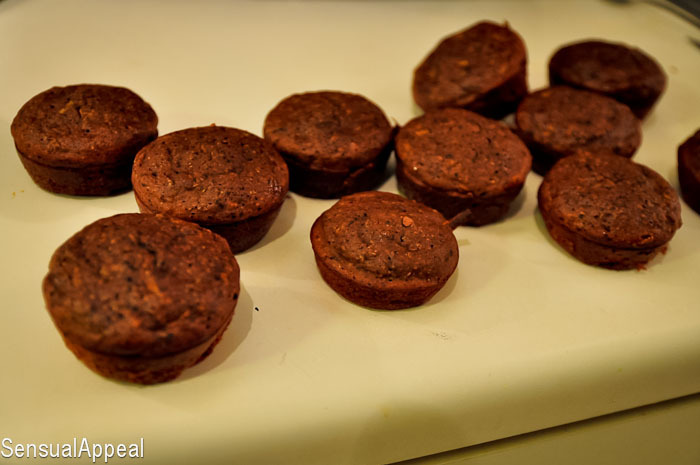 I still love making muffins and although I was going to veganize this recipe (like I have been doing lately with all my muffins), I decided against it, simply because I had egg whites that needed to be used up anyway. Might as well. So sorry, vegan friends, this one includes egg whites. For an extra protein boost, I added protein powder. And I enjoy it smeared with almond butter. I love protein and that’s that. Do you ever try to sneak veggies into snacks? 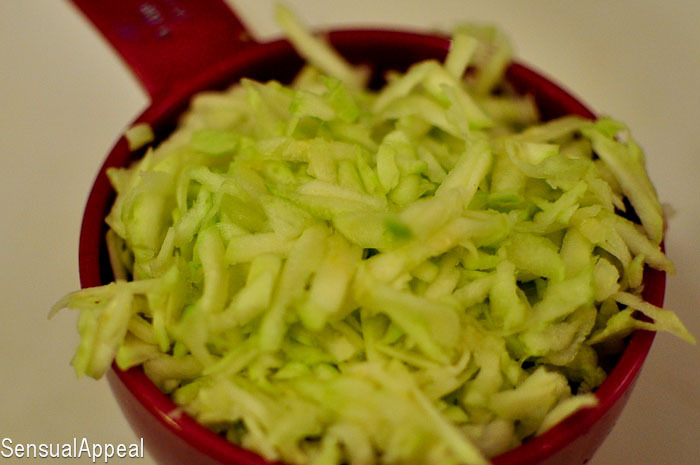 What’s the easiest veggie to sneak into a snack or dessert? 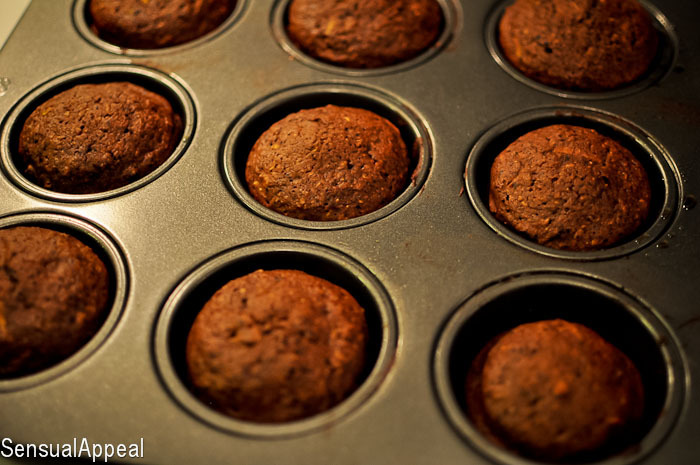 If you like mini-muffin recipes, also check out my Apple Oatmeal Mini-Muffins recipe! 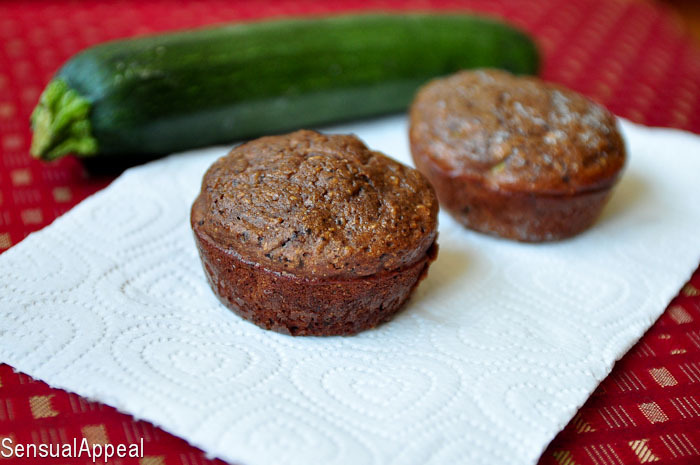 Looking to use something to eat the Zucchini Muffins with? Try my Chocolate Peanut Butter Protein Pudding! It’s super easy! Great recipe! I have to give this a try. I love the nutritional stats on it! Those look absolutely gorgeous – impressively light too. I used to buy chocolate protein powder all the time! Now I need to buy some so I can make these.. yum!! I love protein too! Will always be my #1 choice for meals/snacks/whatever. These look delicious!